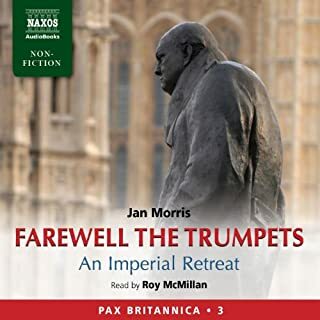 The Pax Britannica trilogy is Jan Morris’s epic story of the British Empire from the accession of Queen Victoria to the death of Winston Churchill. It is a towering achievement: informative, accessible, entertaining and written with all her usual bravura. Heaven’s Command, the first volume, takes us from the crowning of Queen Victoria in 1837 to the Diamond Jubilee in 1897. The story moves effortlessly across the world, from the English shores to Fiji, Zululand, the Canadian prairies and beyond. Totally gripping history! The Pax Britannica trilogy is Jan Morris’ magnificent history of the British Empire from 1837 to 1965. This final volume charts the decline and dissolution of what was once the largest empire the world had known. From the first signs of decay in the imperial ambition in the Boer Wars, through the global shifts in power evident in the two World Wars, it offers a perspective that is honest, evocative, and occasionally elegiac. The world of "cures" or maybe not. To live in 19th-century Britain was to experience an astonishing series of changes, of a kind for which there was simply no precedent. There were revolutions in transport, communication and work; cities grew vast; and scientific ideas made the intellectual landscape unrecognisable. This was an exhilarating time but also a horrifying one. 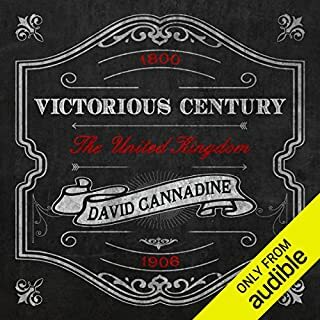 In his new book, David Cannadine has created a bold, fascinating new interpretation of the British 19th century in all its energy and dynamism, darkness and vice. In the early 1970s, Britain seemed to be tottering on the brink of the abyss. Under Edward Heath, the optimism of the '60s had become a distant memory. Now the headlines were dominated by strikes and blackouts, unemployment and inflation. As the world looked on in horrified fascination, Britain seemed to be tearing itself apart. And yet, amid the gloom, glittered a creativity and cultural dynamism that would influence our lives long after the nightmarish '70s had been forgotten. 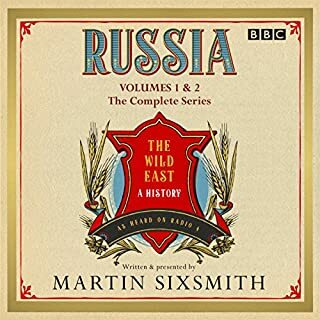 Power struggles have a constant presence in Martin Sixsmith's story of Russia. 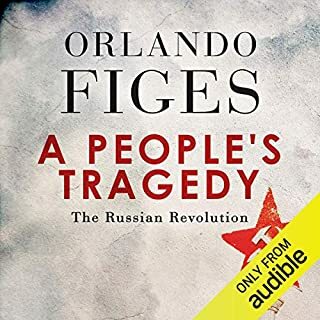 Collected here in 50 episodes, he chronicles the Mongol hordes invading in the 13th century, through the iron autocratic fists of successive tsars, to the fall of the Soviet Union and Russia's re-emergence as a superpower. Sixsmith brings his first-hand experience of reporting from Russia in the 1980s and 90s to his narrative, witnessing the critical moment when the Soviet Union lost its grip on power. 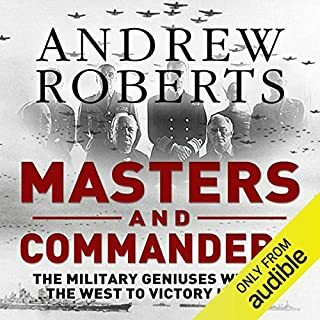 In Masters and Commanders Andrew Roberts describes how four titanic figures shaped the grand strategy of the West during the Second World War. 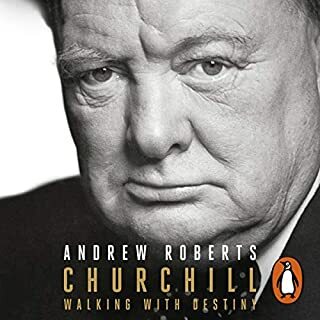 The book attempts to give answers to key questions regarding allied strategy based on the personalities and relationships between two political masters - Winston Churchill and Franklin D. Roosevelt - and the military commanders of their armed forces - the Chief of the Imperial General Staff, General Sir Alan Brooke, and the US Army Chief of Staff, General George C. Marshall. The Pax Britannica trilogy is Jan Morris’s magnificent history of the British Empire from 1837 to 1965. Huge in scope and ambition, it is always personal and immediate, bringing the story vividly to life. Pax Britannica, the second volume, is a snapshot of the Empire at the Diamond Jubilee of 1897. It looks at what made up the Empire —from adventurers and politicians to communications and infrastructure, as well as anomalies and eccentricities. This humane overview also examines the muddle of jumbled ideologies behind it, and how it affected its 370 million people. 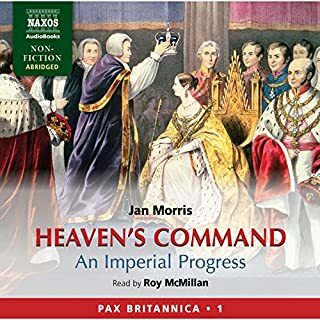 Listen to Heaven's Command: An Imperial Progress - Pax Britannica, Volume 1. 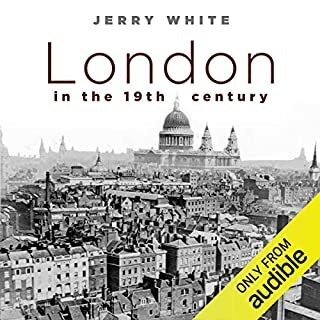 This review is for all three large volumes of Mr Morris's brilliant and exhaustive work tracing the rise and fall of the British Empire in exquisite detail. From the grand sweep of history to the obscure backwoods incidents and the always fascinating explanations of all sorts of things and "facts" that we take for granted today which it turns out did not happen in the way traditional history would have us believe. Another amazing part of the book is as it was written in the 1960s there isno PC rubbish or mincing of words to avoid notional offense given to any race or religion, all are treated equally and their stories told in all the gory details good or bad - this is certainly not a glorious whitewash of the Empire's history it is honest and frank in every way possibe. The most unusual thing for me are the Irish sections which in mostly tends to be glossed over in the UK and still is today, this however was a relevation to me on the course and history of the "Irish Troubles". 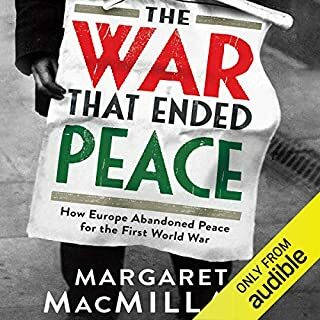 The whole thing is a must for anybody interested in World History, I doubt I could have sat and read the books but on Audio they are brilliant. In this, the second volume of Jan Morris's history of the British Empire, we are given a masterful overview of the British Empire on one specific day. That day is June 22, 1897 - the date of Queen Victoria's Diamond Jubilee (the 60th anniversary of her reign). Mr. Morris chooses this date as the ascendant point of the British Empire. This book is a tour-De-force of history as it surveys almost every conceivable angle of the Empire as it stood on this one day. 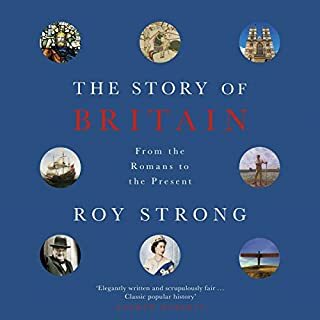 This covers not just the physical condition of the people in England, imperialists at work in the Empire, and the people who were being ruled - but their attitudes, literature, music, arts, military capabilities, and more. There are so many things to recommend about this trilogy, but one of the most impressive is how many places Mr. Morris physically visited while putting it together. 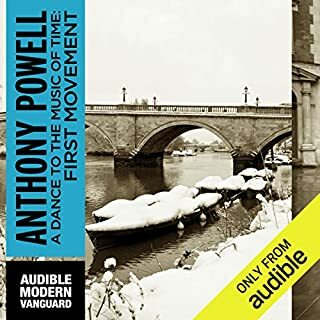 This gives its descriptions, which are lavish and highly evocative, a "been there" authority. Of course, we only know when an empire is at its peak when its decline is in view, but given that this book was originally written in the late 1960's Mr. Morris's choice of this date seems very prescient. And it must be noted that the narrator - Roy McMillan - is simply brilliant in his performance. 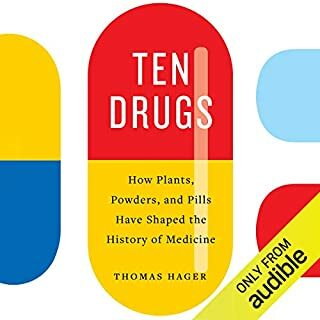 A must add to your library. What did you love best about Pax Britannica? I have never before grasped the spread of tthis empire. a wonderful overview of the way things were. One of the best series I've ever read. 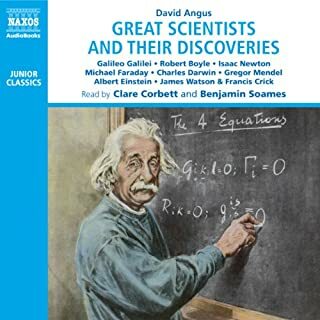 It's history come to life, brilliantly told and narrated. Suitable for the educated lay person, not just academics. Excellent read. 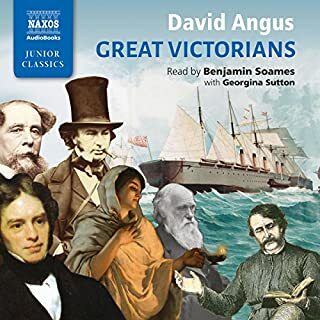 As the second book in the Pax Britannica series, this one covers the Victorian Era at its peak of Empire just as the title suggests. As with the first, it's less about the direct through-line of history and more about the people, attitudes, and social expectations of the age. Books like this make it very difficult to condemn the "wrongness" of social disasters without also appreciating the "rightness" in the ideals of the most noble of the age. These were a proud people who felt they were answering the call to destiny, and as such that proverbial road to hell was paved very well indeed. Some of the age were indeed so noble that it inspires one to wonder what could have been had the greed and racism that so defined that era had been socially condemned in the minds of the masses as much as it had been in Queen Victoria herself. Perchance to dream, and such is the very romanticism that captures the imagination of that time. The anecdotes paint very real portraits of the colorful characters involved, and it is through these that the stereotypes and social trends of the age are examined, supported, refuted, and otherwise challenged both in mind and at heart. We see the wide spectrum of thought and deed, poking holes in the oversimplifications of history, and for many like myself with a mind towards the curious, these stories will likely open doors to new rabbit holes worthy of exploration. As before, Roy McMillan's narration serves very well. 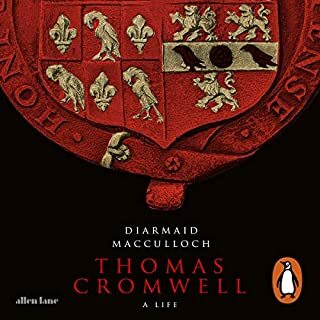 He manages to capture the pomposity and the insecurity of the peoples discussed, connecting the reader with an age that, while not too distant from our own and similar in many regards, seems so far and otherwise alien to us as to be relegated to the realms of fantasy. There is a humanity in this series that author and narrator combined bring forth, making it a win as far as I'm concerned. 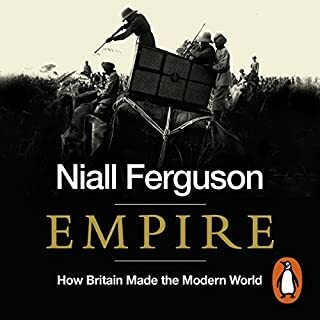 An interesting review of how Britain obtained and then shed an empire and just how it all happened without a concerted plan or a real overall strategy. Not quite an "Accidental Empire" but neither a thought through plan to dominate the people of the countries they added to the collection. Worth every minute and dollar to learn interesting facts and to remember that it often takes a long time for the sense (or lack thereof) of a decision to become clear. Production values in the audio is of the normal Audbile high standard. Impressive beautiful edifying body of work. Jan Morris Pax Britannica is the single most beautiful love letter to a nation and it's history I've ever had the pleasure to read. 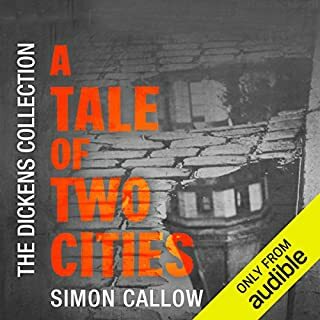 Roy McMillan is by far my favorite narrator, the job he did on this added to this historical work. 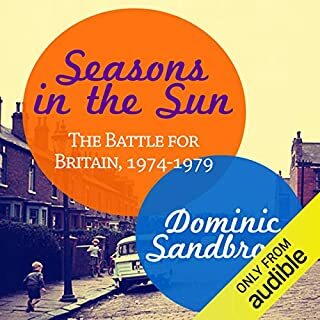 I've read and listened to this now several times in fact all in the series which I believe is a must read/listen for lovers of history & those lovers of queen and country. This is the middle book in the Pax Britannica trilogy and deals with the events around the 1897 Diamond Jubilee of Victoria. Morris goes into great detail about pretty much every aspect of the Empire, which was by then at it's apogee. I preferred Vol 1, which was a bit faster-paced, and am into Vol 3 at the moment, though we're still mired in the fin de siecle. Jan Morris is old-school - there's not the overwrought apologist tone that colours much modern history on the British empire and it's myriad crimes and misdemeanors. She trusts that we, the readers, know that Imperialism isn't justifiable, but she refuses to judge the Imperialists by our moral standards, and in my view she sets the right tone by this approach. I'd recommend the trilogy, which is well-written, well read (in both senses) and entertainingly informative.